How can Playground Flooring help your school achieve the Daily Mile? 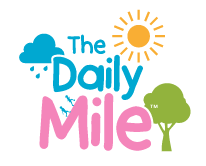 Over a thousand primary schools in the UK alone have now joined the Daily Mile community. The aim of the Daily Mile is to improve the physical, emotional and social health and wellbeing of children. PlaySmart fully support any ideas which encourage school children to get active and as a result the team see great value in new initiatives like the Daily Mile and Golden Mile which are being operated in schools. These schemes focus on getting all children outside into the fresh air to take part in running or walking with their classmates – whatever the weather! Not only improving fitness levels, the programme has been shown to boost concentration levels, mood and behaviour. 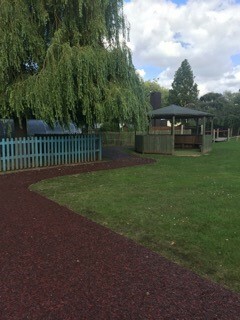 As the popularity of these schemes grow, PlaySmart have been asked to install our surfacing in more schools as tracks and pathways to help with the initiative (while helping keep shoes clean and reduce mess!). 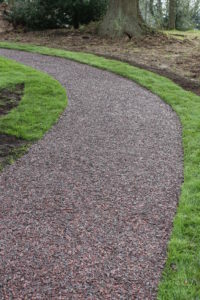 Our exclusive JungleMulch rubber mulch is ideal for these projects as the colourful finish holds firm under heavy footfall and is accessible and non-slip to all relevant British Standards. If you’d like advice on ways to make achieving your daily mile easier, please feel free to get in touch! You can reach our experienced team directly on 01564 742 811.